VPR: Listen all day Sunday for extended news coverage and special programming. From 8a to 2p NPR will have live coverage of events in New York City, Shanksville, Pennsylvania and Washington DC. From 2p till 5p, NPR hosts a live call-in program. At 5 it’s Weekend All Things Considered. 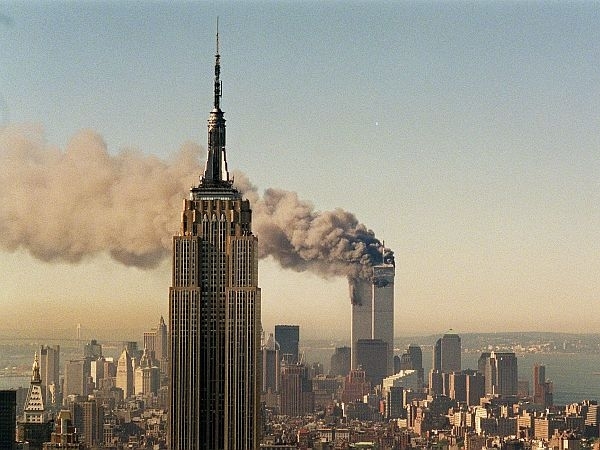 At 6, hear a 9/11 edition of This American Life. At 7, hear the voices of young people in a special program called Our 9/11- Growing up in the Aftermath. At 8, we go to The Kennedy Center in Washington to hear The Concert for Hope. Says You, Selected Shorts and Living on Earth, and our regular Sunday programs return next week. VPR Classical will air special selections throughout the day in memory of 9/11. In recognition of the 10th anniversary of September 11, 2001, VPR and the Vermont Folklife Center have partnered to produce an "audio memory quilt" of Vermonters’ thoughts and reflections of that day and what’s happened since. We asked Vermonters how have the events of 9/11 changed the way you view the world and see us as a nation? How have the events changed our daily lives? What is most important that we remember from the attacks? What are the lessons we’ve learned as a nation over the past 10 years? Hear what they said along with more from VPR News, our commentators, and VPR Classical. (Post your own comment below and it will appear on the Remembering 9/11 page, too). Around 150 volunteers marked the anniversary of the September 11th terrorist attacks in true Vermont fashion Tuesday. They helped cut, stack and deliver firewood to needy families in Lamoille County. Flags will be lowered to half-staff at the Vermont State House and all federal, state and public buildings and grounds throughout the day on this September 11th.